Reliability Centred Maintenance - De website van salvettifoundation! Very few people really understand Reliability Centred Maintenance. It takes time and experienced people to perform a good RCM. It should be performed on somewhere between 5-20% of your critical assets. IT HAS been nearly twenty years since I first learned about Reliability Centred Maintenance. As part of the Kodak Park Maintenance and Reliability Team, I was one of a few people who volunteered to take a few courses in RCM and report back to the team on the viability of the tool. I had no idea at the time that two decades later I would be facilitating and instructing RCM at companies in nearly every country around the world. It is strange sometimes how quickly things change; one minute you are a maintenance team leader, and the next you are facilitating Reliability Centred Maintenance for a living. The sad thing is that these misconceptions could all be easily resolved if those in need of a good RCM effort took the time to research or vet the people they select to instruct and facilitate their RCM effort. As I said before, very few people really understand RCM and many of those who do not, work part time as RCM Facilitators, filling in to compensate for demand. Some may lack facilitation skills or have little experience actually working in the field of maintenance, and in the long run they hurt the effort. On the other hand, the practitioners and facilitators who really understand RCM are so good that they make the process of facilitating and mitigating failure modes look simple. So simple in fact that many who observe them facilitating can be led to believe any warm body could stand in front of a group and facilitate an RCM analysis. Having the belief that the facilitation process is simple, they now attempt to move forward and this is where RCM becomes dangerous. Inexperienced facilitators miss critical failure modes, failure modes that could result in catastrophic failure of equipment. 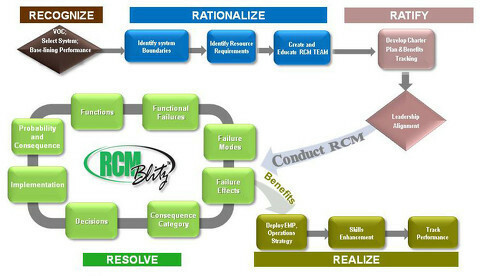 If your RCM facilitator does not understand what a real failure mode is, how your parts and components work together, how they functionally fail along with the different types of maintenance and technologies available to mitigate failure modes, you can waste a lot of time and end up with less than acceptable results. If you are going to invest in RCM, spend your money wisely and research not only the methodology, but the facilitator/practitioner to ensure success. Those with an intermediate understanding of Reliability Engineering Tools look at the RCM process and they see a simple 7-step process that addresses failure modes with some type of mitigating task. If this same person believes a pump is a pump, and that all components have a set list of possible failure modes, we now have our second largest reason why people are afraid of RCM. Some people believe that the RCM process or exercise is unnecessary because we can accomplish the same thing with a library of failure modes and corresponding mitigating tasks. Interesting concept really, just make a list of all possible failure modes for that part or component and match the best task to each failure mode. Why in the world would anyone sit through another RCM analysis when all we need to do is load a list of our components, press one button on the computer, and out comes a list of everything we need to do? If only it were that easy. In reality, this is proves once again that very few people really understand RCM. Let me explain why. First, I would be a fool to say that failure modes lists or libraries and the tools people are using to match engineered failure modes to mitigating PM and PdM tasks are of no value. That statement could not be further from the truth. A list of common or engineered failure modes can help to develop a sound maintenance strategy provided the equipment was installed and operated within designed specifications. Using the tool will generate a list of PM and PdM tasks to mitigate these common or engineered failure modes; what the tools will not do is discover the failure modes that result from the environment, culture and operating context of the equipment. These failure modes libraries, listed under a growing list of Trademarked names or software tools, can deliver value to your organization if they are properly applied to non-critical, or balance of plant equipment. In other words, if the company who designed the tool really understands failure modes, and if they have the knowledge to understand what PM and PdM tasks are best suited for mitigating each failure mode at your site and each task is both applicable and cost effective and you have the resources to implement this initiative full scale across your site, then the process will help to improve the reliability of your assets at a level above your current maintenance strategy. If that last paragraph doesn’t sound too promising, it’s because it shouldn’t. The reality of any failure modes tool, or even RCM for that matter, is that if your company’s maintenance programme has not matured to a point. of your assets.where you have a core of 3 to 5 PdM tools in place, and are able to plan, schedule and execute your PM and PdM tasks at the required intervals, the exercise will only create more chaos and frustration. Add to this the fact that the failure modes that occur most often, those that result from operating context, operating environment, and culture, are not and cannot be included in the library. Now don’t get me wrong, I am not saying you shouldn’t use a tool that addresses engineered or common failure modes to help build your maintenance strategy. I am saying if you think you want to go in this direction, make sure you have the resources and infrastructure in place to support the tool. I know, and have worked with several companies that have had tremendous success with the right tool, but they understood the difference between the tools and used both a failure modes library tool and RCM to build their strategy. In closing, I know RCM isn’t an easy pill to swallow. It takes time and experienced people to perform a good RCM – add to that the fact that it takes a great facilitator to work with your team to complete a great RCM. 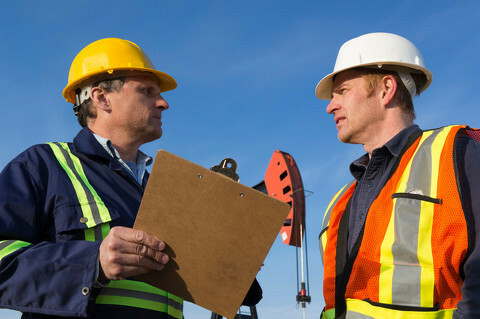 Understand when it comes to the tools available to help improve reliability at your site, each has its applications and limitations. I happen to believe that RCM should be performed on somewhere between 5-20% of your critical assets and the balance of your plant would be well served by a well-designed failure modes tool. While it would be wonderful to be able to improve the reliability of all your equipment with the push of a button, the reality is that improvement comes through education, being able to identify your losses and selecting the right tool to eliminate the loss and sustain the gain.